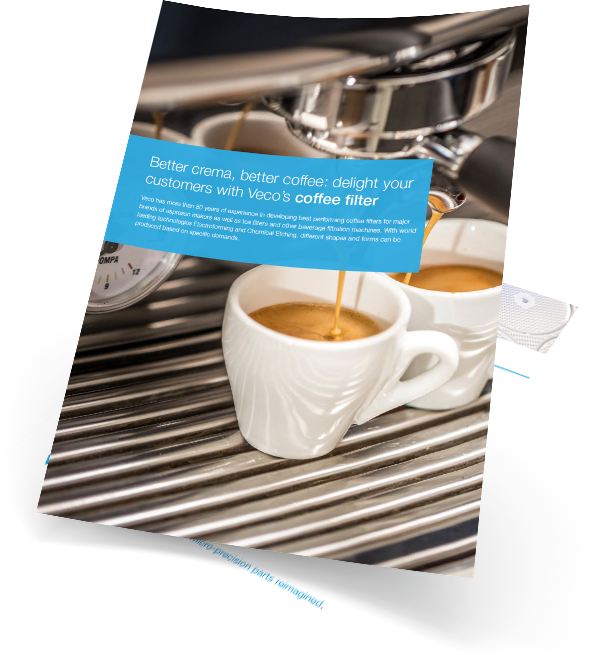 Download application note "Coffee Filter"
Download the application note to learn more about Veco's Coffee/Beverage Filter Solutions. Coffee filters play an important role in the function of an espresso maker. Only when there’s a good filter in it can an espresso machine function its best and the end product tastes its best. Similar goes to tea makers and other beverage machines.